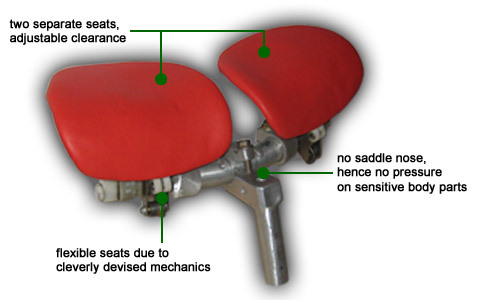 The two seats are linked to a cleverly devices mechanics. The seats are moving the mechanics. 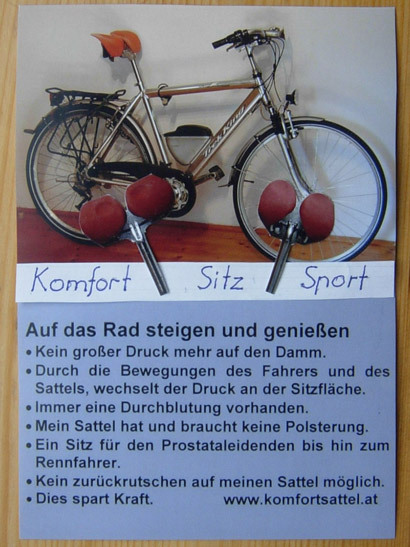 As the biker is pedalling the pressure alternates from one seat to the other. No negative impact on the blood circulation! 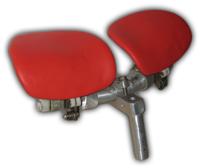 The ischium is moving with the seats (forward and backwards). A feeling as even not sitting on a saddle. Thereby the muscles can work better.